The 2017 Tony Awards race is really heating up! As expected, War Paint, starring two-time Tony winners Patti LuPone and Christine Ebersole, is heading to Broadway this season. 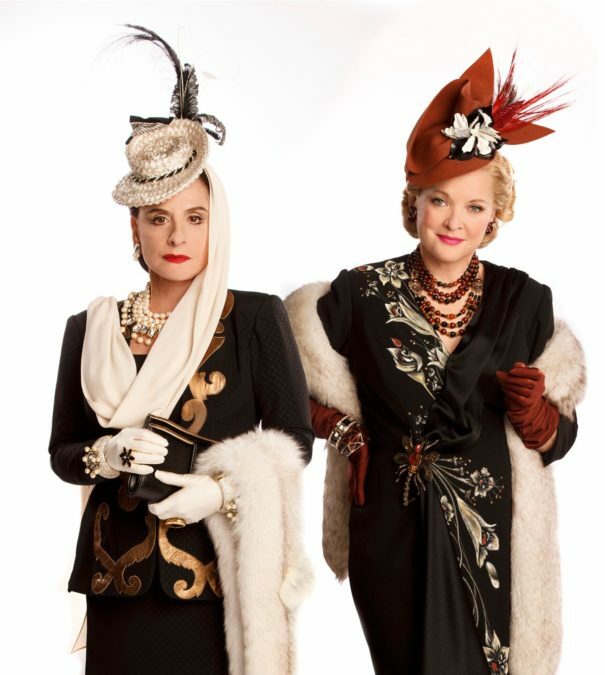 Directed by Michael Greif, the new musical about beauty titans Helena Rubinstein and Elizabeth Arden will begin previews at the Nederlander Theatre on March 7, 2017. Opening night is scheduled for April 6. War Paint will additionally feature Tony nominees John Dossett and Douglas Sills, who are also reprising their roles from the production's world premiere at Chicago’s Goodman Theatre this summer. Dossett is set to portray Tommy Lewis, Arden’s husband and chief marketing officer, and Sills will once again take on the character of the ambitious Harry Fleming, Rubinstein’s clubby confidante and faithful ally. LuPone was most recently seen on the New York stage in Shows for Days off-Broadway. Her numerous Great White Way credits include Tony-winning turns in Evita and Gypsy, as well as Sweeney Todd, Women on the Verge of a Nervous Breakdown, Master Class and Anything Goes. Ebersole won Tonys for her performance as Edith Beale and Little Edie in Grey Gardens and for her role in the 2001 revival of 42nd Street. Her additional Broadway credits include Blithe Spirit, Steel Magnolias, Dinner at Eight and The Best Man. Dossett received a Tony nod for Gypsy; his other Main Stem credits include Chicago, Pippin, Newsies, Mamma Mia!, The Constant Wife, Democracy, Dinner at Eight, The Adventures of Tom Sawyer and Ragtime. Sills garnered a Tony nod for The Scarlet Pimpernel; other Great White Way credits include Living on Love and Little Shop of Horrors. Featuring a score by Scott Frankel and Michael Korie and a book by Doug Wright, War Paint follows cosmetics trailblazers Helena Rubinstein (LuPone) and Elizabeth Arden (Ebersole), who defined beauty standards for the first half of the 20th Century. Brilliant innovators with humble roots, both women were masters of self-invention who sacrificed everything to become the country’s first major female entrepreneurs. They were also fierce competitors, whose 50-year tug-of-war would give birth to an industry that would forever change the face of America. From Fifth Avenue society to the halls of Congress, their intense rivalry was ruthless, relentless and legendary—pushing both women to build international empires in a world dominated by men. The musical is inspired by Lindy Woodhead's book, War Paint, and Ann Carol Grossman and Arnie Reisman's documentary film, The Powder & the Glory. Greif, Frankel, Korie and Wright all previously collaborated on Grey Gardens with Ebersole. No word yet on further casting, but the Chicago production's company also included Mary Ernster, Leslie Donna Flesner, David Girolmo, Joanna Glushak, Chris Hoch, Mary Claire King, Steffanie Leigh, Erik Liberman, Barbara Marineau, Stephanie Jae Park and Angel Reda. Choreography will be by Christopher Gattelli, with scenic design by David Korins, costume design by Catherine Zuber, lighting design by Kenneth Posner, sound design by Brian Ronan, orchestrations by Bruce Coughlin and music direction by Lawrence Yurman.